Chichen Itza, identified as one of the new seven wonders of the world, will continue to receive attention as the Mayan Calendar closes in on a new Baktun. Translated by many scholars to a December 21, 2012 date, the day represents a new era of time or as some believe the end of time. Whichever you believe as the day continues to inch closer many visitors plan to flock to the Mayan Ruin sites to celebrate. Of course there are many archaeological sites exist in the Mayan World (Mundo Maya) in Mexico like Coba and in Central America like Tikal, but Chichen Itza in Yucatan remains the most popular. And on a recent tour I captured these images of the site. 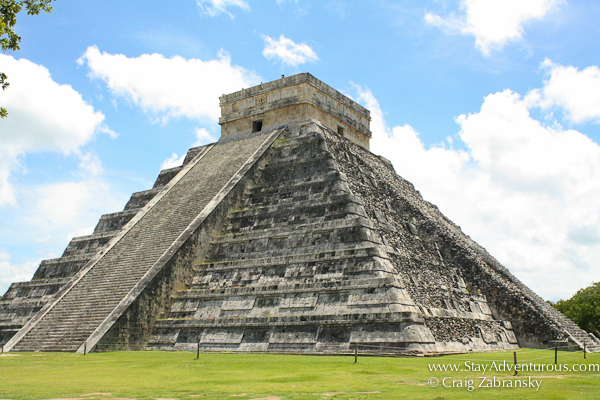 The iconic Pyramid of Kukulcan is the most impressive and striking structure at the famous Mayan Ruins site. Particularly popular on the spring and fall Equinox when a serpent made of sunlight “descends” down the pyramid, the pyramid is the most popular on the site. Legend and lore definitely exist around the skull platform. In the later periods of the civilization, the platform seemed to actually carry the “heads” of enemies of the city. On my walk over to see the Temple of Warriors I posed for a photo. In the distance you can just barely see Chac Mool. Both the sacrificial site of Chac Mool and the Pyramid of Kukulcan remain off limits to visitors to climb / touch. 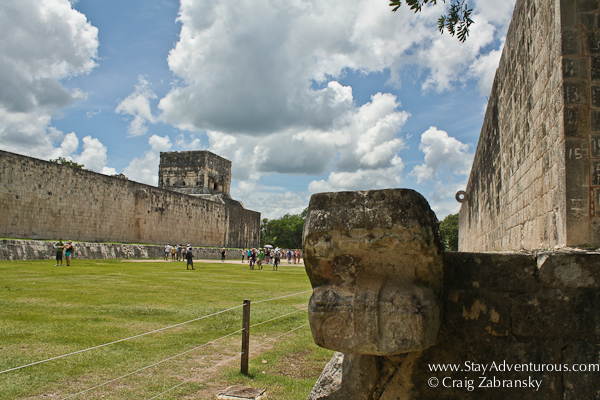 The Mayan Ball court of Chichen Itza, one of the biggest from the Mayan world, wasn’t just fun and games. It was a serious game of life and death too. 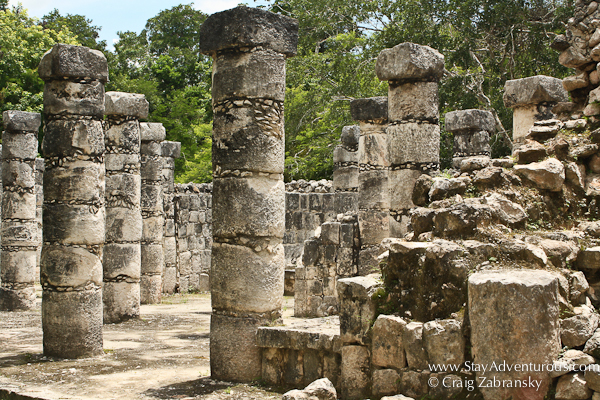 After walking through the grounds I headed to the Grand Cenote or Sacred Pool. 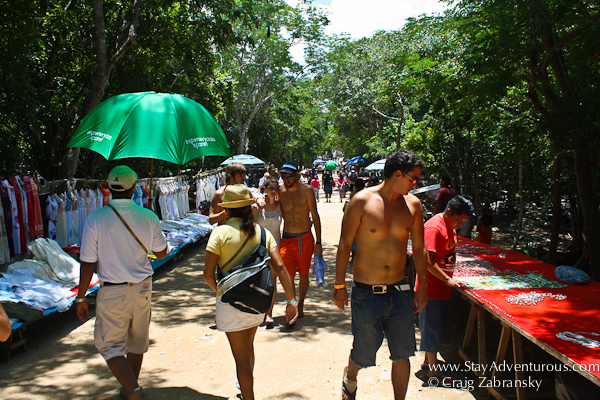 An umbrella is one of the three travel tips to touring the Mayan Ruins in the Riviera Maya. The grounds are enormous. 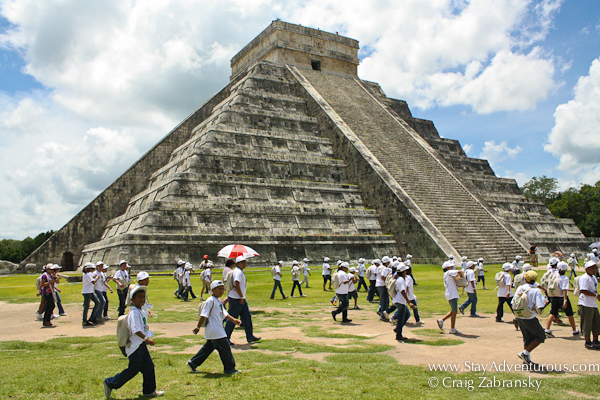 You can spend an entire day at Chichen Itza. And after the “main” attractions, you must walk around the grounds and visit other pyramids and the observatory. The knowledge of the constellations and astronomical events continues to impress scholars today. 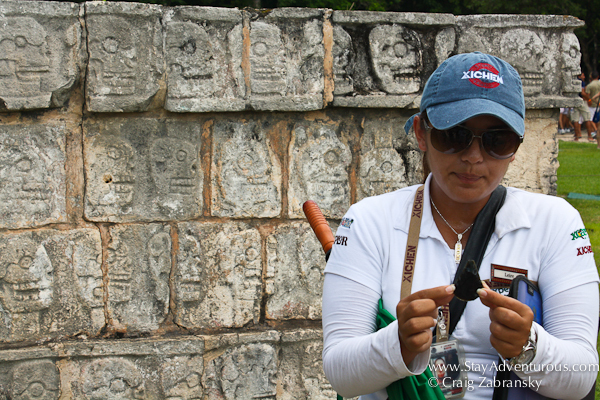 I’d like to thank the Riviera Maya Tourism and also Xichen for providing passage to Chichen Itza. Also, I wish everyone a Happy Mayan New Year. Impressive photos Craig and appreciate the history lesson. Makes me want to visit. The Mayan calendar seems to be misinterpreted by many as the end of the world. It’s just a new beginning. Visited some Mayan ruins when I was a kid, but nothing on this sort of scale. I’d imagine it will be a pretty popular place on December 21st! Look gorgeous. 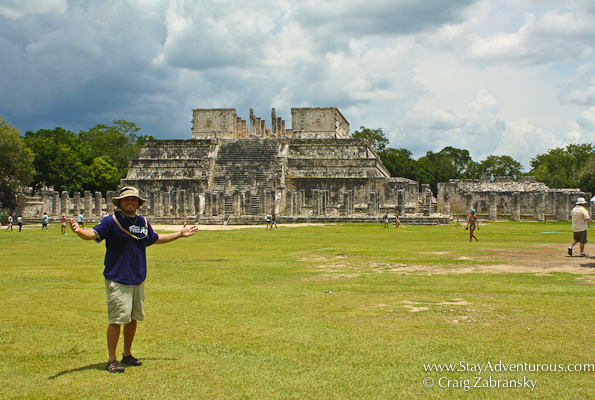 I did some ruins in Cantona near Puebla, and they were cool, but not as impressive as Chichen Itza. 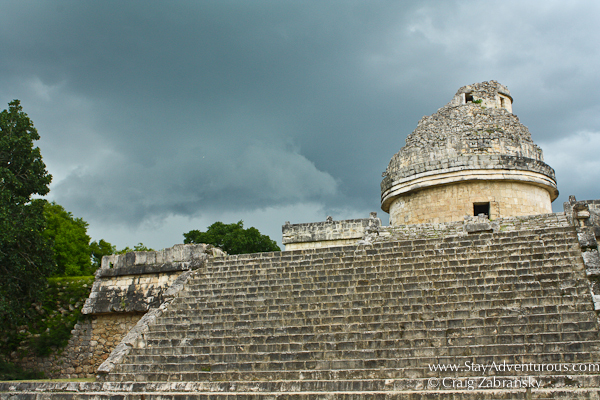 That skull platform is gnarly, but I think my favorite part of Chichen Itza is the observatory. It’s amazing how advanced that civilization was. 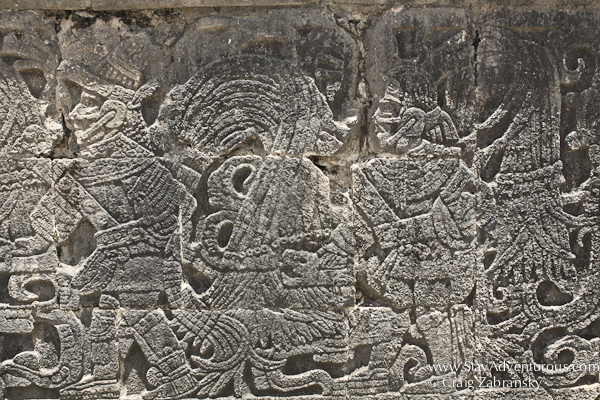 Mayan history was a favorite of mine growing up.. still on my bucket list! It is definitely worth a visit, and if you love the maya culture… there are so many ruins to see, each have their charm too. 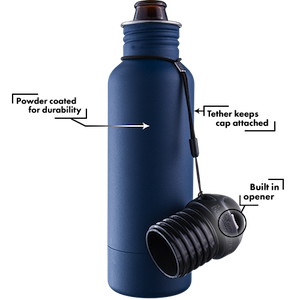 I offer a few tips on the “big 3” as I like to call them here. Very nice post. I went there in my college days during spring break. Totally random, we were there ON THE DAY of the equinox!!! How lucky, huh?? Well, not so much – it was a cloudy day so we did not see the serpent! 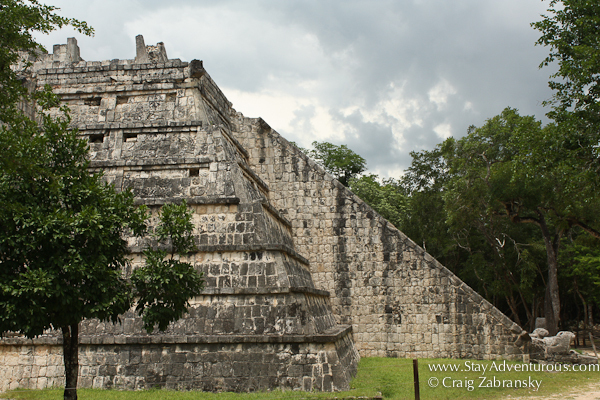 Loved Chichen Itza when I visited a few years ago. Then I got to teach all about it my first year teaching and had the students rebuild it. Awesome pictures! What a lovely post! 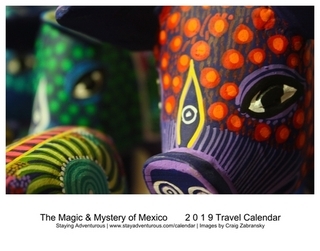 You have inspired me to visit Mexico soon…in 2013! Simply amazing. Thanks for the info! Me gusta!